Bad Schönborn. Andreas Raelert is the new European Champion on the middle distance. 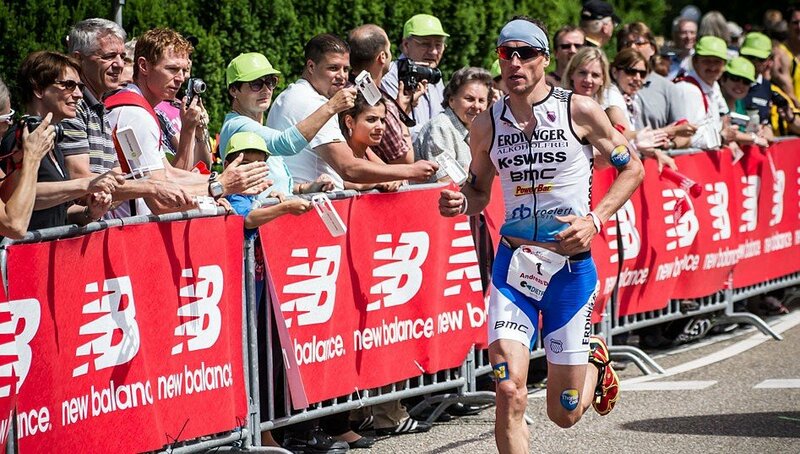 In 3:48:15 hours the 35-year old from Rostock defended his title at the Challenge Kraichgau in a memorable way. He celebrated his victory after an extraordinary fast run split at the finish line in Bad Schönborn. "These are the happiest moments in sports", Andreas Raelert said after his victory, "I had not the best day on the bike today and had to show everything in the run." The world record holder on the Ironman distance won the European Championships in a new course record time. Andreas Raelert claimed the title with a clear lead over the Frenchman Sylvain Sudrie (3:50:57 hours) and local hero Sebastian Kienle (3:51:11 hours). From the beginning Andreas Raelert was part of the leading group during the swim in Lake Hardtsee. He came out of water after 23:26 minutes – he was only eight seconds behind the fastest swimmer Viktor Aloshyn from Russia. 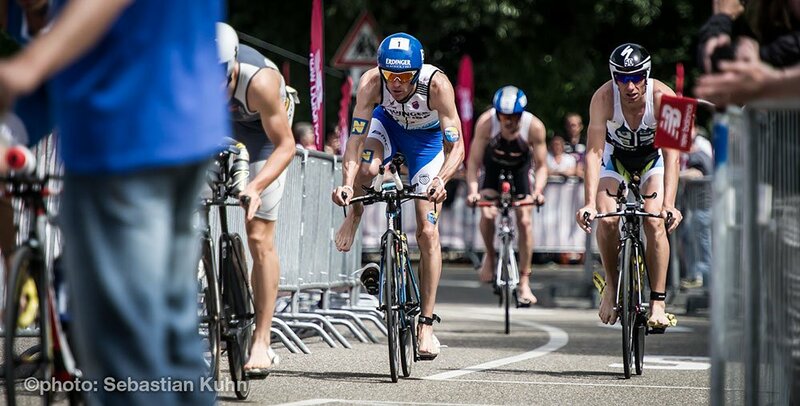 Within seconds the first 15 athletes stormed out of the water and set a fast pace on the bike. "I had not my best day on the bike”, Andreas Raelert mentioned after the race, “it was tough for me.” Although he came directly from an altitude training camp in Switzerland to the European Championships he could always stay with the best riders on the challenging course of 90 kilometers. On the bike the speed especially accelerated when Sebastian Kienle caught up with the leading group after 25 kilometers. Sylvain Sudrie from France launched an attack after 70 kilometers on the bike – and this was the decisive break-away from the chasing pack. He reached T2 with a lead of nearly 40 seconds ahead of Konstantin Bachor from Germany. The group with defending champion Andreas Raelert, last year's runner-up Sebastian Kienle and Timo Bracht followed by a minute behind. For 90 kilometers on the bike Andreas Raelert needed 2:12:51 hours. Andreas Raelert started into his run like an athlete on the olympic distance: After only three kilometers of the half marathon he had gained 30 seconds on Frenchman Sylvain Sudrie and was in second place. Shortly after that he took over the lead. "I had to try everything in the run”, the new European champion said, "and I'm pretty happy that it worked." After 10 kilometers of the challenging run course his lead was more than a minute on Sylvain Sudrie and Sebastian Kienle. On the way to the finish line Andreas Raelert expanded his lead more and more. Andreas Raelert nailed down his victory with an outstanding half marathon time of 1:09:29 hours and celebrated another impressive win of his career. Andreas Raelert is the world’s fastest athlete on the Ironman distance. He holds the world record since July 10th 2011 - when Andreas won the Challenge Roth in 7:41:33 hours. He moved over to the Ironman distance in 2008 after a successful career on the Olympic distance. Andreas is a two-time Olympian: He reached 6th place at the Olympics in Athens 2004 and 12th place at the Olympics in Sydney 2000. Andreas won his debut on the Ironman distance at the Ironman Arizona in 2008. In 2009 he gave his debut at the legendary Hawaii Ironman and got third. In 2010 he won the Ironman European Championship in Frankfurt and got second at the Ironman World Championship in Hawaii. 2011 he won the Challenge Roth with world best time on the bike (4:11:43 hours) - and was again third in Hawaii. Andreas Raelert was born August 11th 1976 in Rostock.